Makes 10 servings, 1 piece (122 g) each. Beat pudding mixes and milk in medium bowl with whisk 2 min. Pour 1 cup pudding into medium bowl. Add melted chocolate; mix well. 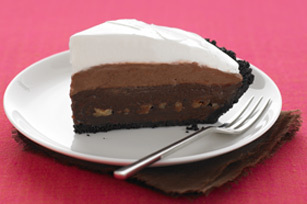 Pour into crust. .
Add 1 cup whipped topping to remaining pudding; stir gently until blended. 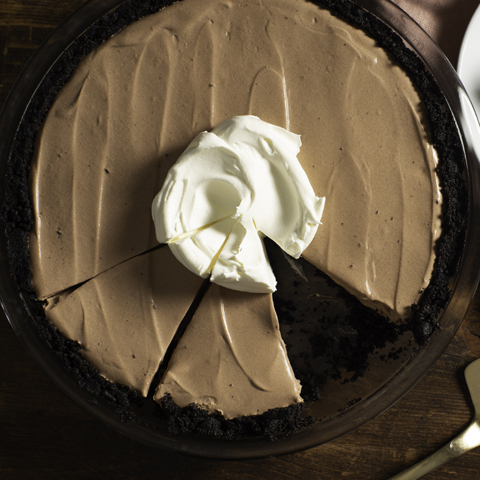 Spread over chocolate layer in crust. 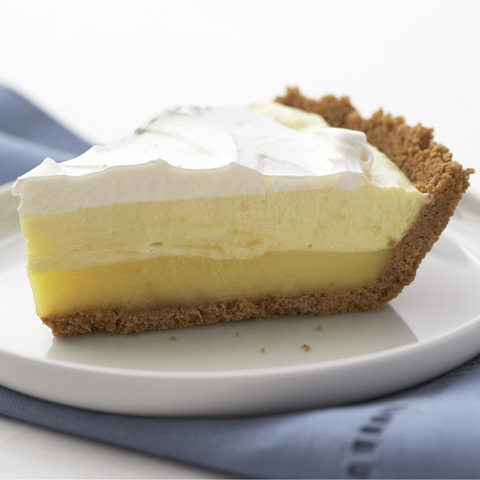 Stir chopped cookies into remaining whipped topping; spread over pie. Refrigerate 1 hour or until firm. How to Melt Chocolate in MicrowaveBreak chocolate into squares; place in microwaveable bowl. Microwave on HIGH 1 min., stirring every 30 sec. Continue microwaving until completely melted, stirring every 10 sec. 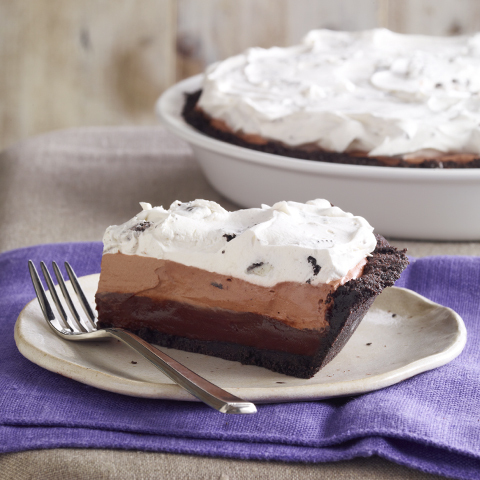 Special ExtraGarnish each piece of pie with 3 additional Mini Oreo Cookies just before serving. 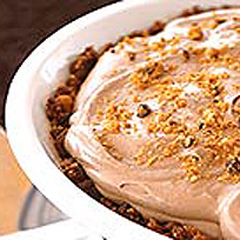 Variation Prepare using chocolate fat-free instant pudding mix, skim milk and light whipped topping.